للمسافرين الذين يرغبون أن يعيشوا كل ما تقدمه المدينة، فندق وشقق فورست هو الخيار الأمثل. يمكن من هنا للضيوف الاستمتاع بسهولة الوصول إلى كل ما تقدمه هذه المدينة النابضة بالحياة. يشكل هذا الفندق ملاذاَ مريحاً للاسترخاء ويمنح زواره فرصة للاستجمام والتجدد، وهو يقع على بعد خطوات من المعالم السياحية الكثيرة للمدينة. يعرف Golden Chain بالمستوى الراقي لخدماته ولباقة موظفيه، وهذا ما ستجده في فندق وشقق فورست. لضمان راحة ضيوفه، يقدم الفندق الخدمات التالية: خدمة غسيل ذاتية, خدمة سيارات الأجرة, واي فاي في المناطق العامة, صف السيارات, خدمة الغرف . في الفندق غرف نوم يتجاوز عددها 115، كلها مجهزة بعناية وجمال وبعضها مزود بـ تلفزيون بشاشة مسطحة, غرف لغير المدخنين, مكيف هواء, تدفئة, مكتب. يقدم الفندق مجموعة رائعة من الخدمات كمثل حديقة، لجعل إقامتك تجربة لا تنسى. إن فندق وشقق فورست هو خيار ذكي بالنسبة للمسافرين، فهو يوفر إقامة هادئة ومناسبة للاسترخاء. 1. Upon arrival, while I was waiting for check-in, the receptionist ignored me and was teaching a new staff on how to confirm bookings or other revenue management matters... It was a small flaw. 2. Our room is on the ground floor. We killed some big ants on carpet inside the room. 3. Facilities are old with timber/construction materials piled outside the room.. 4. Overall, I still recommend. Good value and close to everything. Expected just a cheap place to stop over whilst staying to sleep between Melbourne to Sydney. The staff were so friendly and wonderful breakfast. Offered cheap Cartier exhibition tickets for its last day which I’d had no idea about and place was scrupulously clean. 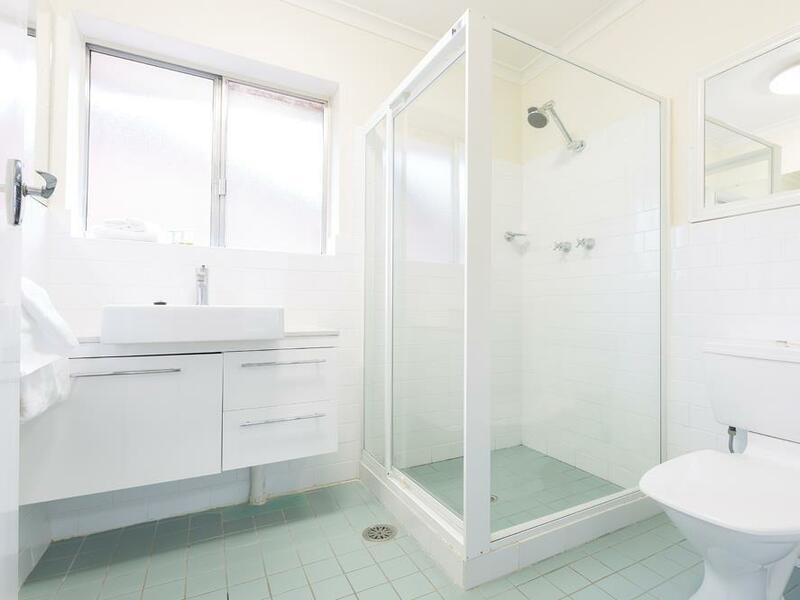 Bathroom could be updated but for the price and location it was a lovely experience. We stayed 10 days. Chose the hotel mainly for the fact it offered free tennis facilities. The hotel is adjacent to a tennis club. There are 6 courts and friendly club members who made us welcome. The room we had was clean and although a little dated had all the kitchen facilities we required. 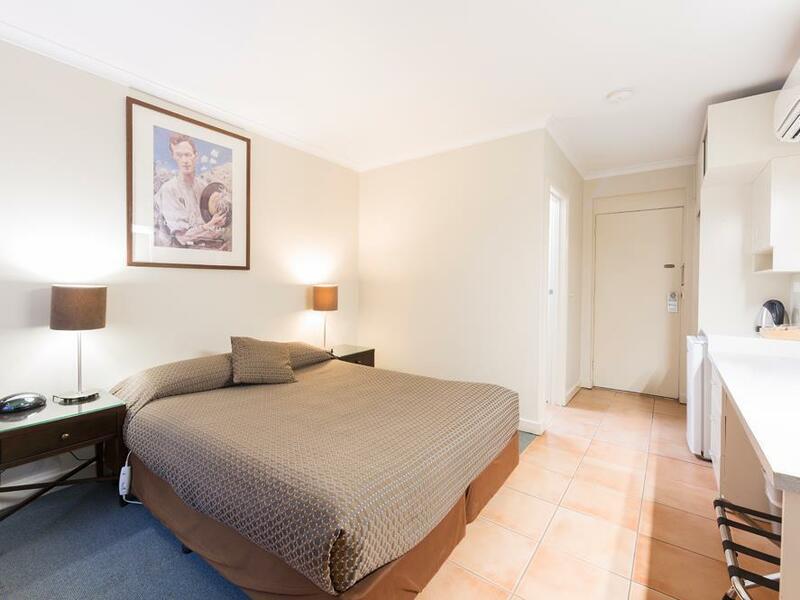 The hotel is 10 minute walk from a lovely neighbourhood shopping centre with nice restaurants and bars (caked Manuka) but to get around the city attractions a car is needed. Parking at the hotel is free and plentiful. A bus service runs past the hotel on weekdays only. On weekends the area is deserted and no buses!!! Yes this is the capital city of Aussie. Staff at the hotel are very professional and most helpful. We would certainly stay here again if only for the tennis!! I booked and paid for stay on credit card. Requested early check in. Went to hotel and was told it would be another hour and to come back which I did. Was then given an envelope with cash and told my booking was canceled as they had maintenance issues.later I was told they were not allowing local residents (ACT) residence to stay as they had had issues with theft and drug use over the holidays and as I had ACT plates on my car they decided to cancel my booking. Mind you the car belongs to my son and I borrowed it to take my things to motel. . I am a58 yr old grandmother not some idiot that wants to steal things and do drugs . I am in town to have medical treatment and wanted an air conditioned place and somewhere quiet to recover after treatment . I am disgusted in the way I was treated and would never recommend this place to anyone even though I have stayed before and had no problems . Garden area is well maintained. Quiet location, friendly staff at check in. Apartment is cosy with comfortable beds. Decor colour is a bit old fashion but very comfortable couches. Overall value for money is great especially for families. Abit old on the outside but everything inside the room was functional . Good comfy bed. Running heater/aircon can be abit loud though if you're a light sleeper but thats my only complaint. Location wise area is really good. 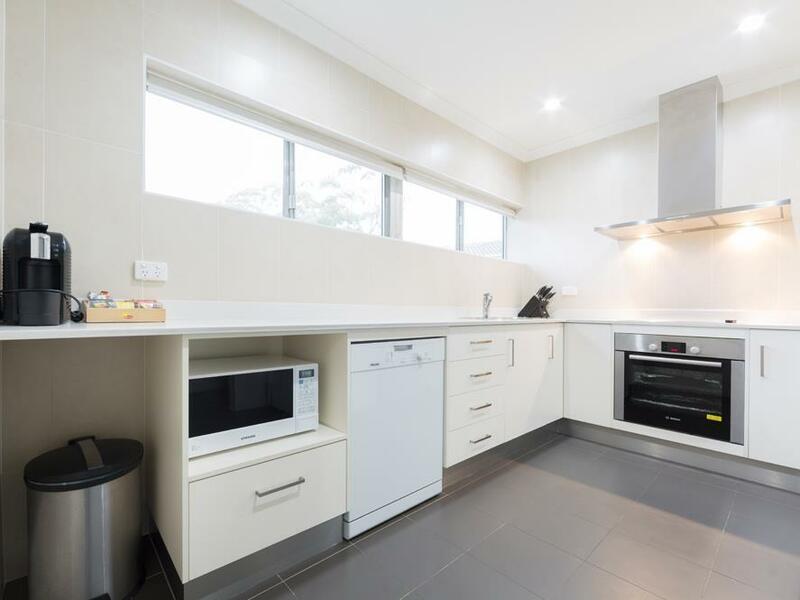 Walking distance to Manuka. My wife & I stayed a night here & we had a comfortable stay; parking was free but unfortunately the wifi had a 500 MB limit for free usage & more than that would be charged. 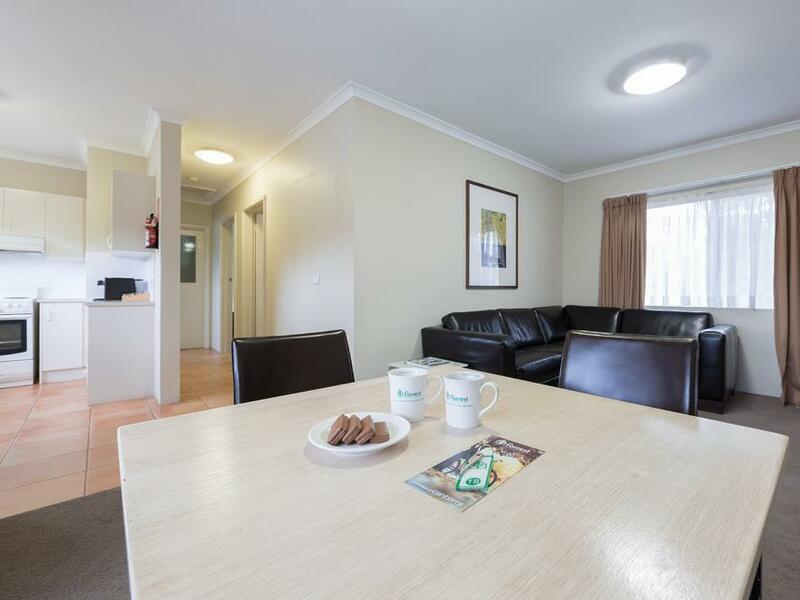 While it's more motel or motor lodge than hotel or apartment, the place was located in a quiet & safe area, while still being in close driving distance to a factory outlet, Australian National University & restaurants. We thoroughly enjoyed our stay here. The apartment was generally clean and comfortable, although we think the carpet has dust mites as we were itching from it. Anyways, it was complete with oven, induction stove, fridge, microwave and clothes washer/dryer. Customer service was excellent too. Parking was easy and close to shops, restaurant and attractions. Free parking. Very good location - walking distance from the parliament. Friendly staff. I would definitely come here again if visiting Canberra in the future. The downsides are poor Wi-fi options (like with most Australian hotels) and the rooms don't appear to be very soundproof (but this didn't affect us that much). 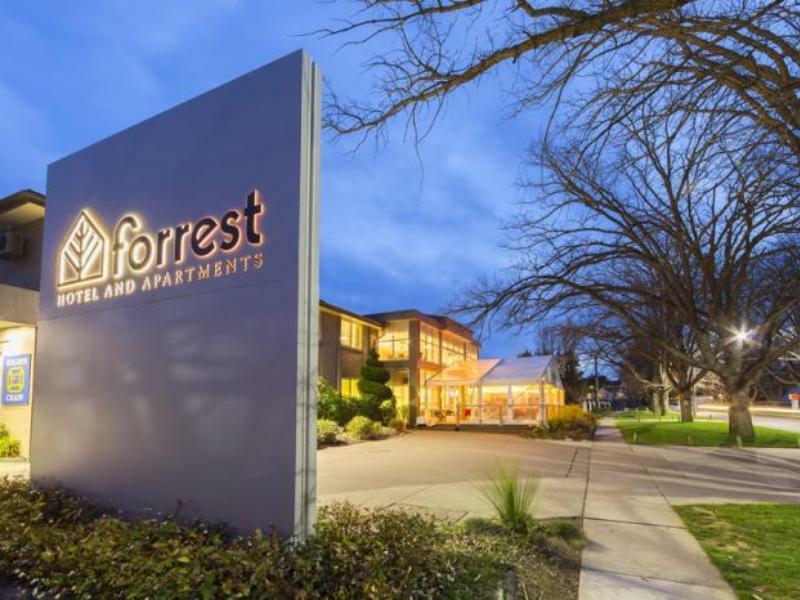 When we decided to spend a two-day trip wandering around the capital city of Australia, we found it to be a little bit difficult to find an accommodation with good price and location at the meantime - couldn't find a better option than the Forrest Hotel and Apartments. The hotel, which is more like a motel actually from what it looks and equips, locates in the tourist area where it is convenient to walk to most of the tourist spots, and there are restaurants, cafes, bars and supermarkets around. Just wish the cost could be lower! I would highly recommend this place. Really clean, great staff, location, value for money and most but best of all best bed I’ve slept in. Would have been nice if the person checking us in actually explained or provided us a map of where he was telling us to go. Other than that, the place is ok to stay for a night, I wouldn’t recommend more than that. Less modern than hotel rooms shown on website. I accepted the apartment on offer of staff for same rate as upgraded twin room. It was quite a walk for my elderly mum upstairs to the apartment and later to the restaurant for dinner, and again in the morning for breakfast.